Cost: $95 includes dinner and two drink tickets. Cash bar available until 8 pm. 2018 Citizen of the Years recipient, Thomas E. Stephenson, Sr. Since 1957, The Greater St. Charles County Chamber of Commerce has recognized local leaders for their dedication to serving the St. Charles County community. This year, the Chamber is pleased to announce that Mr. Thomas E. Stephenson, Sr. has been named our 2018 Citizen of the Years. Born and raised in St. Charles, Tom attended Franklin High School, which during his childhood, was the school for black children. While he would play with his friends before and after school and they would all walk to school in the mornings, but when they got to Clark Street, Tom would turn right to go to Franklin and his white friends would turn left to attend their school. He encountered the same segregation scenario at the Blanchette Park swimming pool and at local restaurants. Ironically, Tom served on the St. Charles Park Board later in life. Growing up in a time with a great deal of prejudice and racism, he has struggled for civil rights and to break down barriers that have often restrained black people from their rightful placement in society. 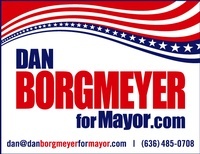 He is a Community Activist, a Korean War Veteran and a retiree of McDonnell Douglas (now Boeing). Later, Tom became St. Charles’ first black mail carrier. Tom was a member of the American Legion Post 457, which is believed to be one of the oldest all-black posts west of the Mississippi river and is now currently a member of Post 312. He is a member of the Legion of Honor and was the 9th District Eastern Zone Vice Commander. Recently, Tom was selected to participate with the Greater St. Louis Honor Flight to visit the war memorials in Washington DC which included the WWII Memorial, Korean War Memorial and Arlington National Cemetery. He is also one of the first black members of the St. Charles Kiwanis Club, where he held the leadership positions of President and Past Lieutenant Governor. Other organizations that Tom is active in include the First United Methodist Church, Veterans Committee, Sage Club, Moose Club and the Greater St. Charles County Chamber of Commerce. 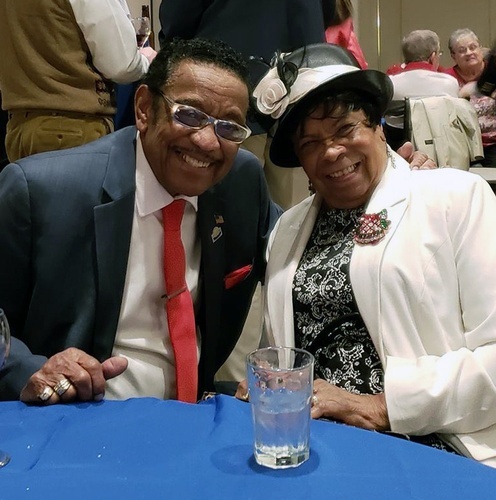 As the first African-American member of the St. Charles Historical Society’s board of directors and because of his civic activism throughout his life, Tom was recognized with the Salute to Missouri Black History award. Tom has been married to the love of his life, Mary for 68 years and is the father of 5 children and is blessed with 11 grandchildren and 2 great grandchildren. Civic: David Borgmeyer; retired banker and active in many civic organizations including the Boy’s Club of St. Charles, St. Charles American Legion Green Mules Drum & Bugle Corp, Knights of Columbus, St. Charles Historic Society, St. Charles Optimist Club, Community Council of St. Charles County, St. Charles Senior Center, and St. Charles Crimestoppers. Cultural: Jerry Reese; has spent the past 24 years serving on the City of St. Charles School District school board and the St. Charles City Council. Jerry was instrumental in the approval of Meals on Wheels to make sure that the citizens of St. Charles receive their meal assistance five days a week. Humanitarian: Kelly Behlmann; Founder of Disabled Athlete Sports Association (DASA) – a non-profit St. Louis – based organization which offers the opportunity for all individuals who live with a physical, visual or hearing disability be given the opportunity to participate in therapeutic sports and fitness activities designed to improve self-esteem and promote growth and well-being. Humanitarian: Catherine Lammert; served as Executive Director of Share Pregnancy and Infant Loss Support, Inc. combining her personal loss experience of the death of her son Christopher with her 30 years as a professional in the perinatal loss field. She is an advocate for bereaved families and has authored perinatal bereavement materials and publications and provided hundreds of educational opportunities. Chamber Champion: Jeff Waple; Current Co-Chair of the Ambassador’s Committee, and recently offered a fundraising opportunity to the Chamber. Due to his help and guidance, the Chamber successfully created and implemented a program that has not only raised thousands of dollars in non-dues revenue for the Chamber, but also received national accolades from Chambers of Commerce professionals.Jeff is very giving with his time – volunteering at our annual Golf Tournament, Sip & Savor Taste Event and our Santa’s North Pole Dash – one could say that Jeff is our Super Hero.